The first sawmill, the North Pacific Lumber company, was built in 1889 by partners James Maclaren and Frank Ross from Quebec. 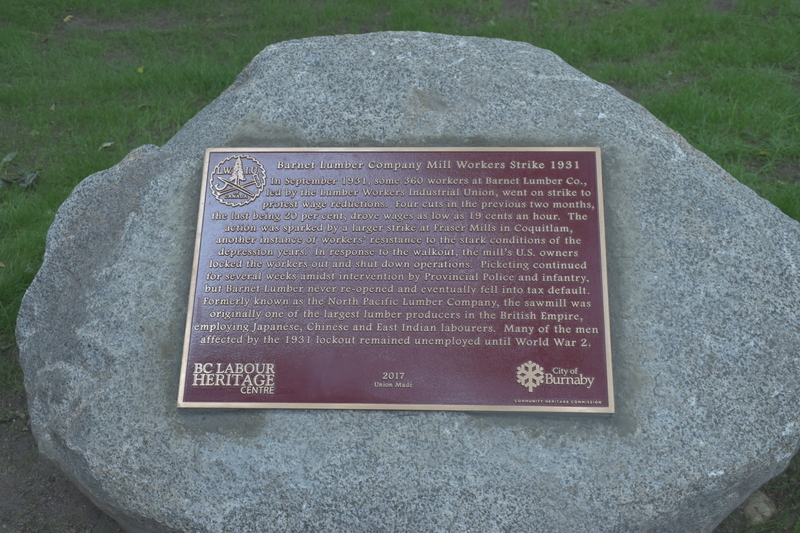 Several hundred workers worked here…in a self contained company town. Men came from, Chinese, Japanese, South Asian, possibly First Nations and European backgrounds. The white men typically had the safer jobs and were paid considerably more. Fire devastated the mill in 1909 but the owners rebuilt the mill and operated it until 1914 when the recession and the war again hurt the economy. It then sat idle until a conglomerate from Washington State purchased the mill in 1925 as the Barnet Lumber Company. 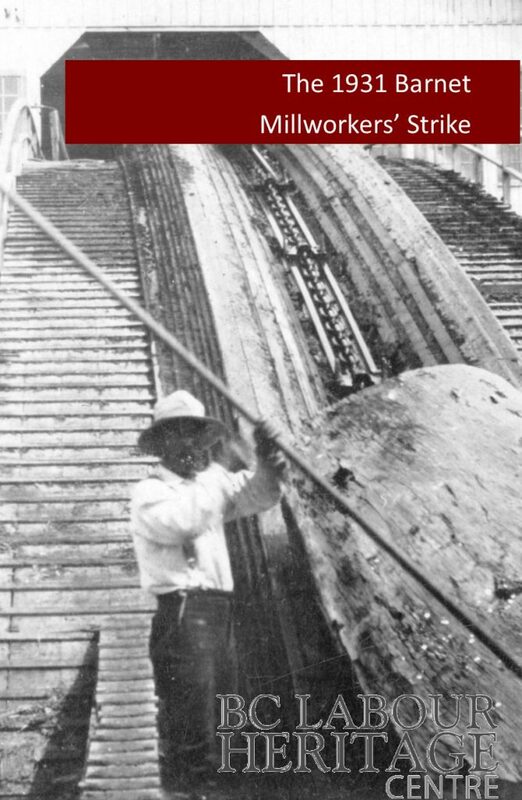 It became one of BC’s largest sawmills, employing some 350 men. However, the labour policies were not ones that workers were content with. It advertised as an ‘all white’ labour force. Although it paid more than minimum wage, it clearly had a paternalistic management strategy aimed to keep workers from joining a union. Workers were required to work ever faster to keep pace with new machinery. Anyone who had an accident risked discharge as a ‘careless worker’. 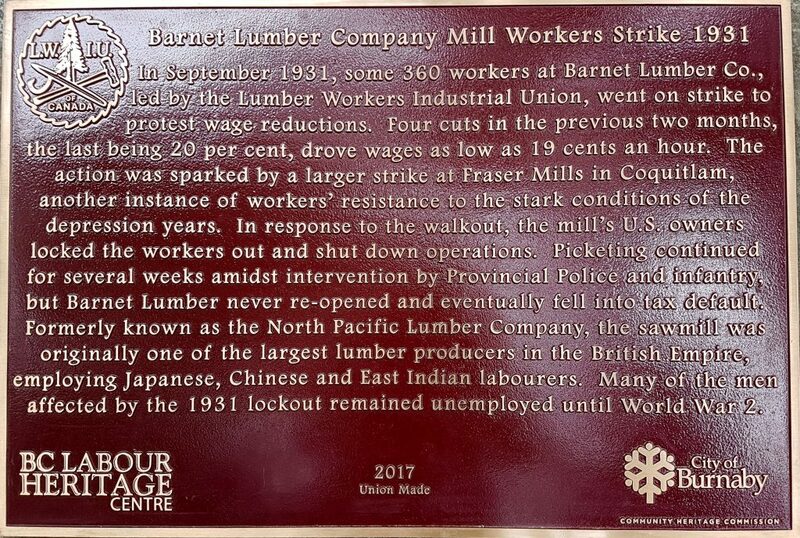 Workers at Barnet Mills were part of a province-wide effort to get union representation in the large and growing lumber industry. The lumber industry was the largest industry of the province. In 1918 the Lumber Workers Industrial Union (LWIU) had been formed. It became part of the One Big Union movement of that time….and this and other unions formed part of the wave of growing industrial action that culminated in the Winnipeg General Strike, and solidarity strikes throughout Canada including here in BC. Eleven thousand (11,000) BC woodworkers joined the LWIU at that time. It was the largest union in BC. 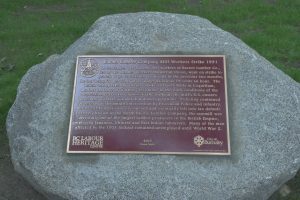 A key historical note was that Ernie Winch had been in the forefront of the province’s participation in the general strikes in 1918 and 1919. Ernie Winch was head of the LWIU. LWIU offices sprang up throughout the province. In the two years 81 separate strikes occurred by disgruntled lumber workers. Most resulted in substantial on the job improvements. But opposition by companies, the government and media began a counter movement to these successes. Police night time raids occurred on the homes of leaders like Winch. Then the depression dealt additional blows to workers and the trade union movement. The LWIU in 1928 had launched a renewed organizing effort in the province. 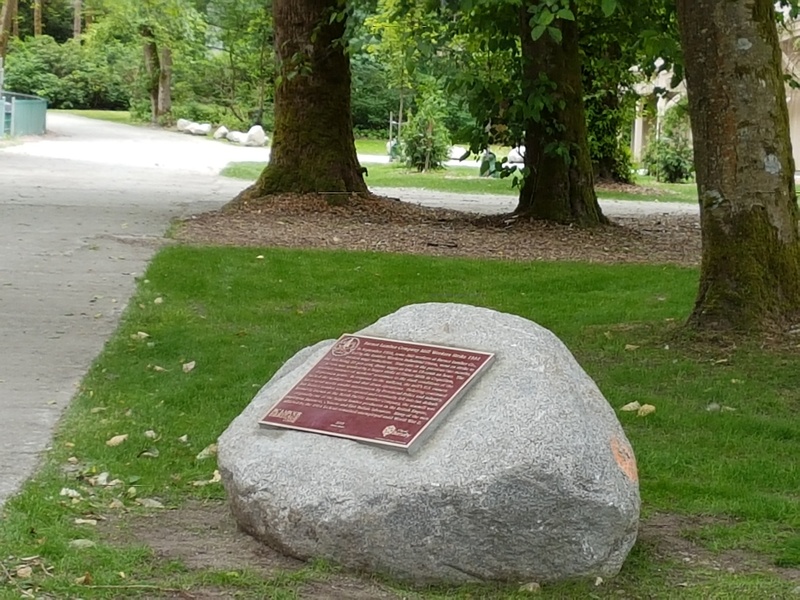 The stock market crash in 1929 caused renewed sign ups, including at Fraser Mills in Coquitlam and here at Barnet. The company cut wages several times. LWIU workers at Fraser Mills struck on September 16 over wage cuts and working conditions. Six days later at Barnet, 196 out of 200 workers voted in favour of strike action. The Mill managers caught wind of the vote, and locked the workers out. It was the beginning of a long and ugly lock-out. There were police incidents….thankfully with no loss of life. However, the owners never reopened the mill and a large number of workers remained unemployed until the end of the 1930’s. This became an unemployed and homeless camp for some of these men. In 1939 the mill was bought by Kapoor Singh Siddoo….and operated as a successful mill until 1959. A few years later the city of Burnaby turned this site into a beautiful recreational area. 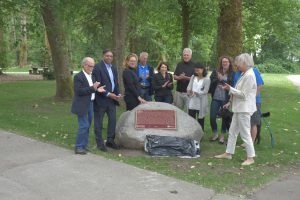 A final historic note of interest to Burnaby: in 1932—just after the strike and lockout at Barnet and other local mills –, the Cooperative Commonwealth Federation was set up as a party of Labour, and the head of LWIU for so many years, Ernie Winch, ran as a candidate. Together with 6 other CCF candidates was elected to the BC Legislature. Ernie Winch was elected as the MLA for Burnaby…which he served for so many years thereafter. This park also has links to that union, and to one of Burnaby’s most famous fighters for social and labour justice.